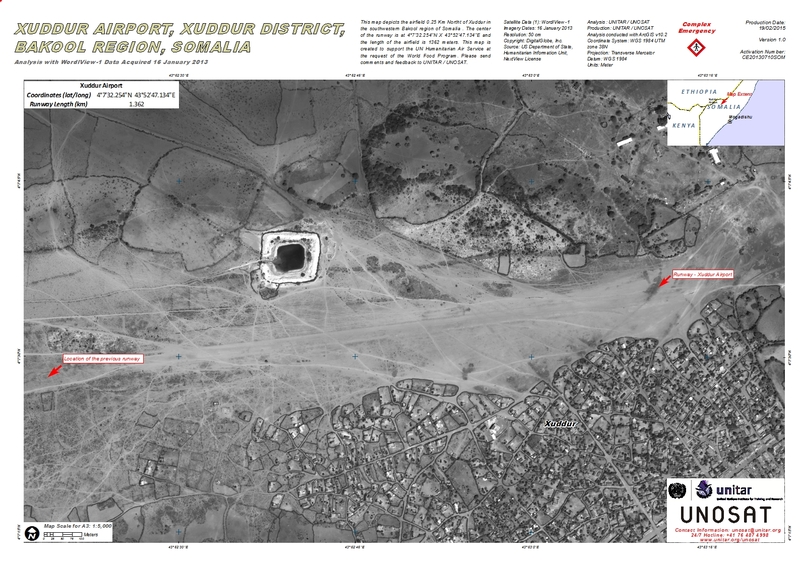 This map depicts the airfield 0.25 Km North of Xuddur in the southwestern Bakool region of Somalia . The center of the runway is at 4°7'32.254"N X 43°52'47.134"E and the length of the airfield is 1362 meters. This map is created to support the UN Humanitarian Air Service at the request of the World Food Program. Please send comments and feedback to UNITAR / UNOSAT.